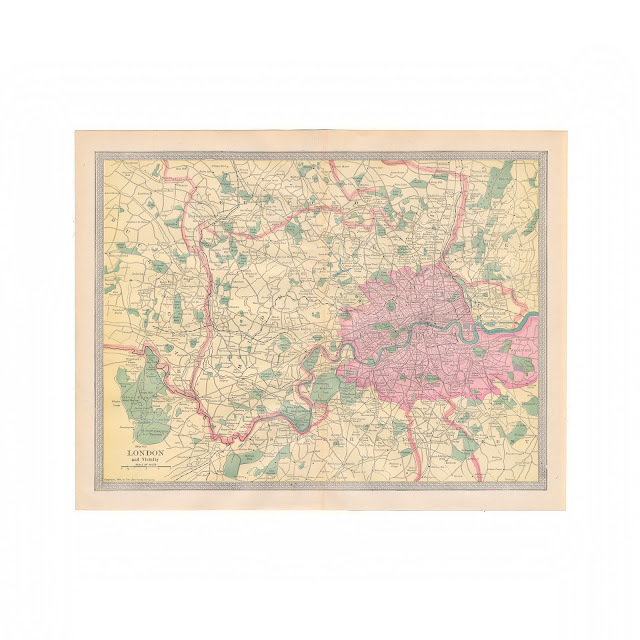 This color map of London comes from from a 1906 volume of "The Encyclopedia Americana" edited by Frederick Converse Beach and published by Scientific American. 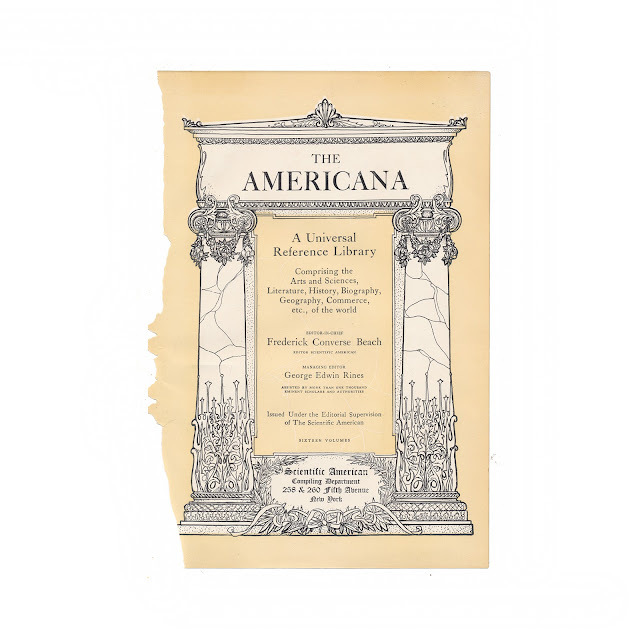 It was the first major multivolume encyclopedia to be published in the United States. The map measures 10 x 13 inches. Center crease, some light browning, overall a clean and crisp copy. Title page shown for informational purposes and is not included in the sale.